Flowmaster Exhaust Accessories - Header Tether UNIVERSAL - Dezod Motorsports Inc - Home of the automotive performance enthusiast since 2002. 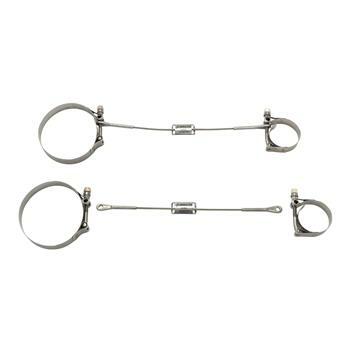 Flowmaster introduces their NHRA legal header collector tether kits. 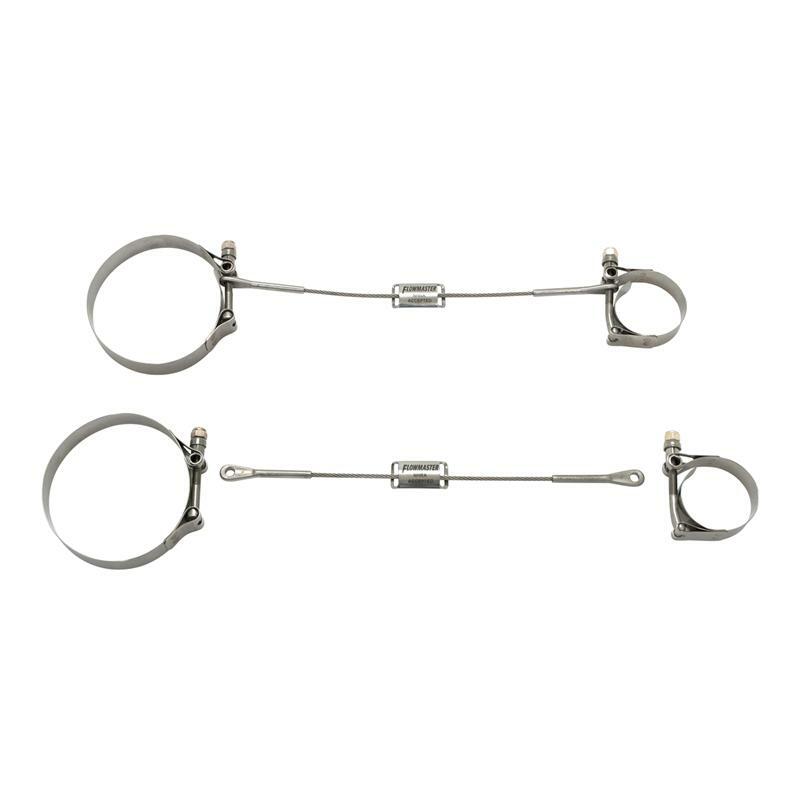 These stainless steel kits include two primary tube clamps, two collector clamps and two 10 in. long safety cables. Sold in pairs and made in the USA.